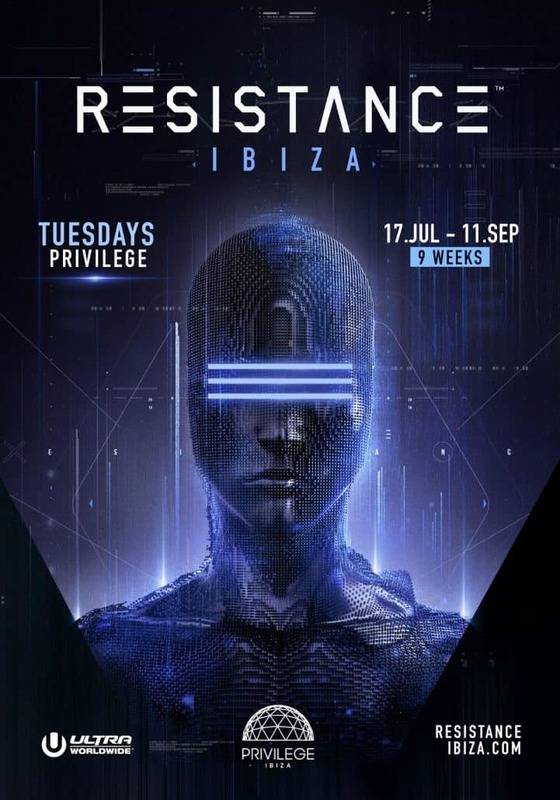 Following a ‘spectacular debut’ [Essential Ibiza] and momentous first season in Ibiza, ULTRA Worldwide has announced RESISTANCE will be returning to the white isle from July 17th – September 11th with a full 9 weeks of parties at Privilege, the world’s largest nightclub. Alongside the date announcement, ULTRA has released the RESISTANCE Ibiza 2017 aftermovie, highlighting the incredible custom production, Funktion-One system, and lineup from last year’s stunning debut. Dubbed a ‘truly immersive experience’ [Deep House Amsterdam], and a spectacle that can be fully comprehended only seeing it for oneself’ [Ibiza Spotlight], RESISTANCE is set to once again bring the very best in production and sound to the island. Details of the jaw-dropping lineup will soon be announced.